Our new Interactive Insight Partner Plan is about to go live. 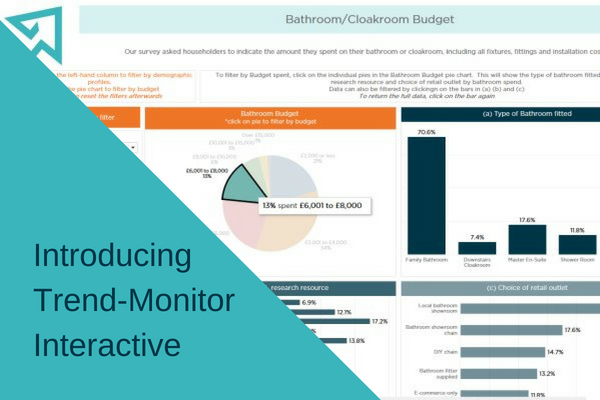 Subscribers to the Interactive Insight Partner plan are able to interrogate and analyse the data behind our consumer insight surveys to gain specific insights for their brand. The data from our consumer insight survey is broken down into a series of online dashboards which focus on the different aspects of the research and have a number of ways to filter and analyse the relevant data. Track the purchase journey for your target market from their purchase motivations, their research resources prior to purchase, through to their choice of retail outlet. Find out why they chose one retail outlet type over another. Investigate the factors which influence product choice, filtered by age grouping, gender, household structure, income or budget, and build up a demographic profile for each product category.